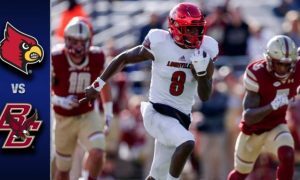 Lamar Jackson‘s lucky number was 72 on Friday night, with the Louisville quarterback throwing his career long pass for 72-yards and scoring a touchdown on a 72-yard run. Jackson finished the game with 411 yards passing and a touchdown. 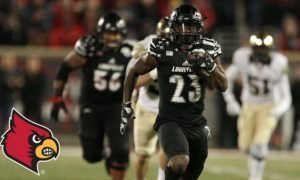 He also rushed for 199 yards and four touchdowns. It’s probably fair to say that Jackson is a legit Heisman contender!